Massive, nuclear-powered 90,000-ton super aircraft carriers have dominated the Navy’s fleet, but recently Congress has advised a shift back toward smaller ships known as “light aircraft carriers”. What’s their rationale for doing so? With the addition of $30 million to the 2018 defense budget, the legislative branch has paved the way for “a preliminary design effort to create a light carrier for the service”. Senator John McCain, Chairman of the Senate Armed Services Committee, released a white paper on defense spending earlier this year, stressing the need for the adoption of light aircraft carriers as a supplement to the Navy’s current fleet. While the Navy has more recently built and maintained huge supercarriers in an effort to keep up military dominance on the seas and in the air, lighter versions were maintained throughout the Cold War. Current budget constraints and the need to retain a presence in less active combat zones have brought light carriers back into the discussion for future air and sea defensive projects. Although light carriers cannot carry the quantity of aircraft, munitions, and fuel a supercarrier like the USS Gerald R. Ford can, they are far less expensive and require considerably less research and development to build. For a quarter of the cost, a modern-day light carrier could potentially maintain a force of 20 F35B Lightning II aircraft, amounting to as much as half the offensive firepower of the USS Gerald R. Ford. 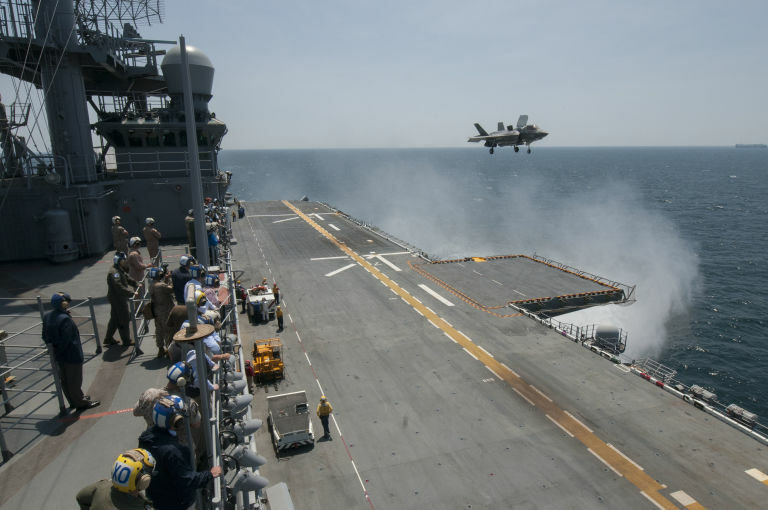 Using the ships as amphibious transport and assault vessels, or modifying decks, aircraft elevators, and other capabilities to carry a wider variety of aircraft have been suggested as possibilities for a new, modern-day light carrier. Do you think this is a smart direction for the U.S. Navy under current budget restrictions and other limitations? Comment and share your thoughts.